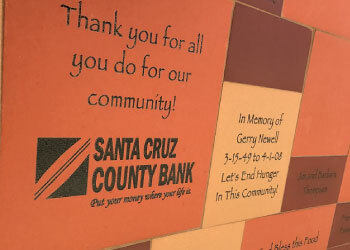 A wonderful way to commemorate graduations, anniversaries, your business, organization or special remembrances, your tile will be viewed by visitors to the food bank for years come. 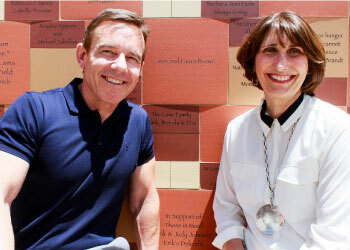 The Wall of Hope is located on our patio just outside our main entrance. Installation of new wall tiles takes place every other year. 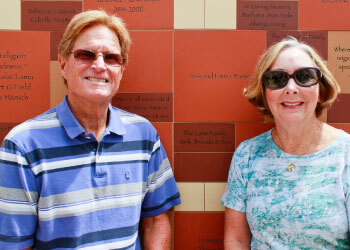 Tile donors are invited to an exclusive Tile Dedication reception on our patio. Your donation will make a real difference in the lives of the less fortunate in our community. Thank you! Fill out and submit the order form below. You will then have the opportunity to choose your payment method.